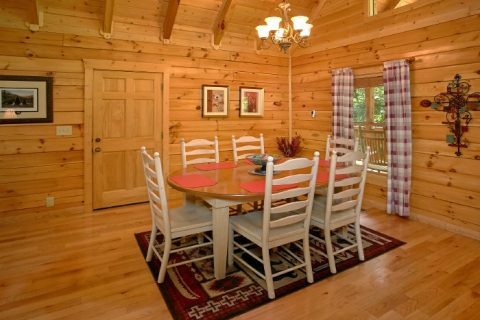 "Lucky Logs Lodge" is a cabin rental near Dollywood with excellent amenities for your vacation in the Smokies. 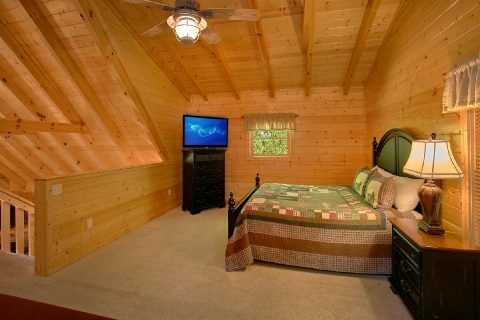 This 3 bedroom cabin with a game room close to Pigeon Forge sleeps 6 guests and is ideal for families planning to explore the Smokies. 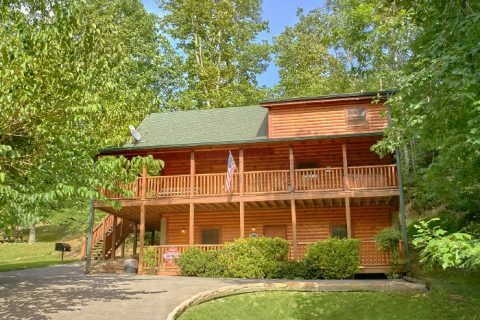 Located only minutes from the Pigeon Forge Parkway, guests of this 3 level cabin will have no problem finding fun things to do during their vacation. 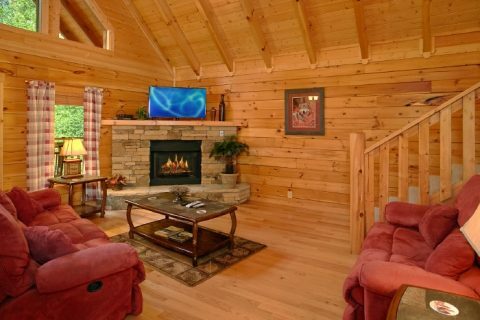 Step into your cozy living area and you'll find a space with plenty of seating, a television, and a seasonal, gas log fireplace. 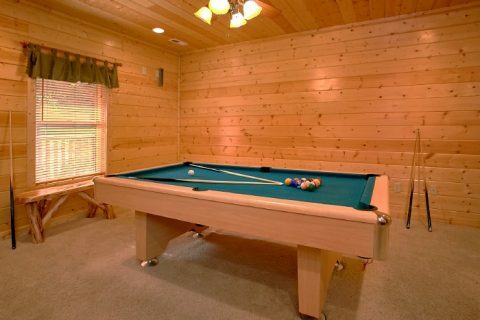 Downstairs, there is a game room complete with a pool table where you can enjoy some friendly competition with your family. 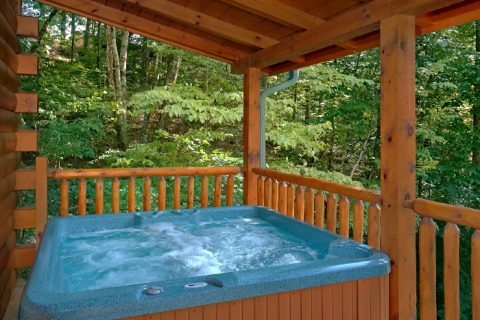 Outside on your cabin rental's deck, you can enjoy the fresh mountain air and take a relaxing dip in the hot tub. 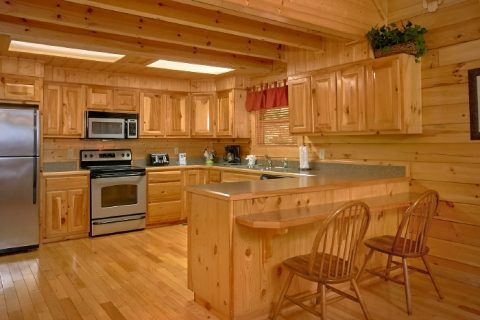 Though there are plenty of great restaurants in town, you can save your vacation dollars by cooking delicious dinners in your cabin's fully-equipped kitchen. 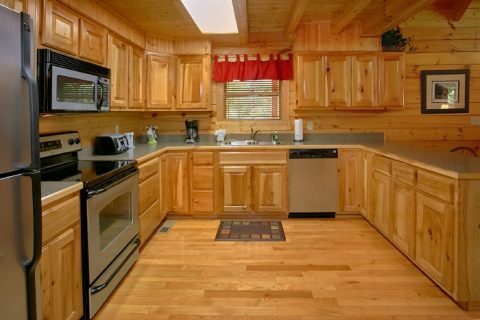 For grilled meals, there is a charcoal grill for cooking in the outdoors. 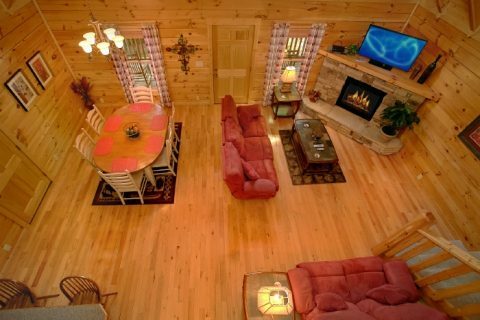 After dinner, you can relax in the living area with your favorite movie or enjoy a game of cards at the dining room table. 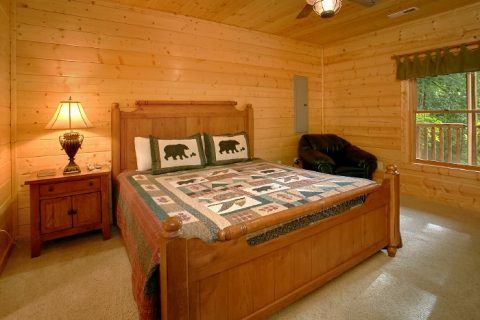 At bedtime, you can look forward to retiring to the king-size beds in each of this cabin's 3 bedrooms. 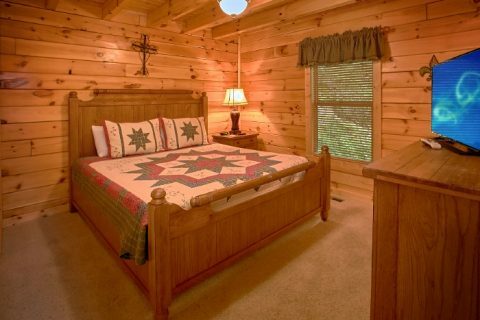 Your cabin is located within walking distance of "Dew Drop Inn," another 3 bedroom log cabin in the Smokies. 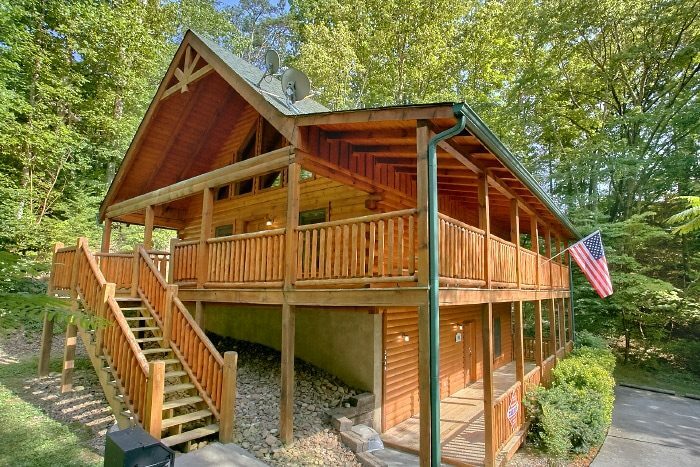 Both of these rentals can be booked together for larger groups staying close to Pigeon Forge. If you are interested in this possibility, feel free to call our reservations office and we would be glad to assist you. 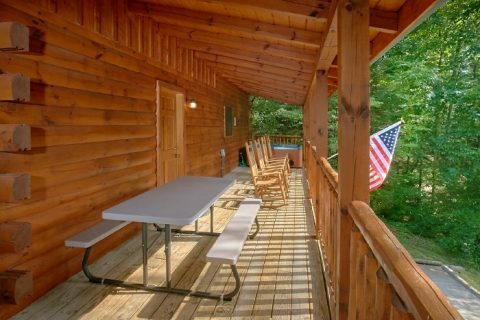 Book your Smoky Mountain cabin with an outdoor hot tub today with Cabins USA Gatlinburg and save 15% with our cabin discount! 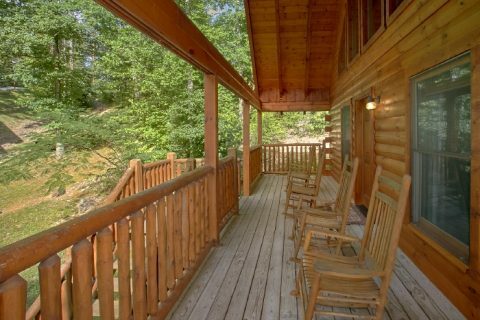 Experience great vacation savings on you lodging in the fun-filled Smoky Mountains of Tennessee!